(De)vestirse (2012), series of performance-based sketches. Lives and works in Buenos Aires (Argentina). 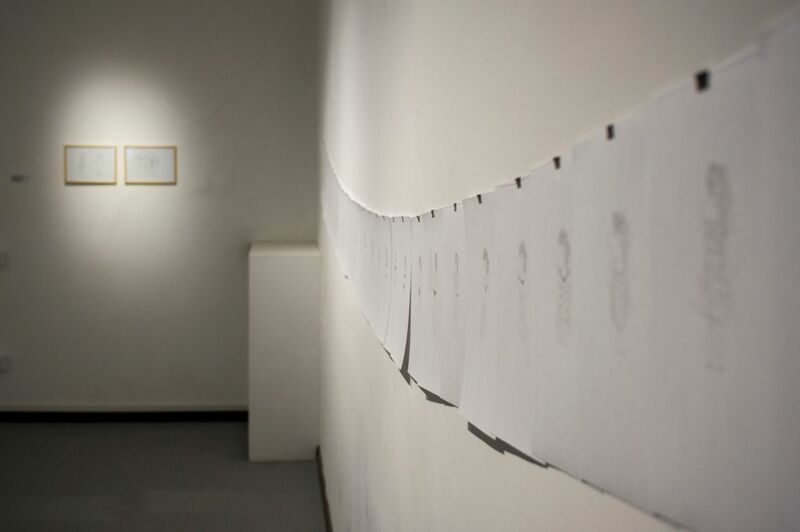 Gabriela Alonso proposes a manifest of a territorial mapping: Her visual art work follows the sequence of corporal action, subsequent documentary photography of the performance, and hand-drawn sketches of these photographs, which are finally turned into a stop-motion video. She so reveals a body in action that concretizes itself in materiality, in words, in lines, in scattered objects in a space with or without an expressed intention, resembling them in the territory, in a space, at a time, so that the reality that emerges as a metaphor is visible, conceiving a possible story. To design a composition of signs, leaving testimonies on the actual body. Gabriela Alonso is professor of Fine Arts at EMBA Escuela de Arte Carlos Morel, Quilmes, Argentina, and founding director of the performance-focused event Zonadeartenacción.